Update on programming progress from Colin Stewart. 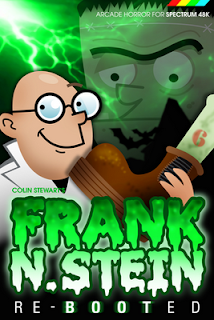 Frank N Stein re-booted is a re-write of the classic game (from 1984) and will feature extra levels, improvements that could not be squeezed into the original release and various other enhanced features. Look out for this game in the next couple of weeks! Keeping in the gaming horror genre, Colin's other title Dracula (which was originally planned for publishing back in 1984 but never quite made it to release) is coming along nicely too. 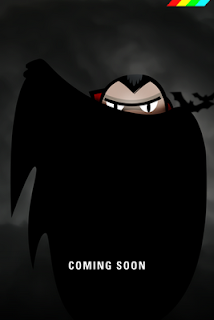 ﻿It is great that this game is going to see the light of day (even though Dracula would hate that!) all these years later. Hopefully we should see this game on our Spectrum emulators in six weeks or so. Coders like Colin really prove that the retro gaming scene is very much alive and kicking - and many thanks go to him for the update and I can't wait to see these games!